Since it’s inception in 1939, the Mandali has been celebrating the birth of Lord Rama in a colourful manner. Our Ramanavami Celebrations is a confluence of Gnana and Gana. 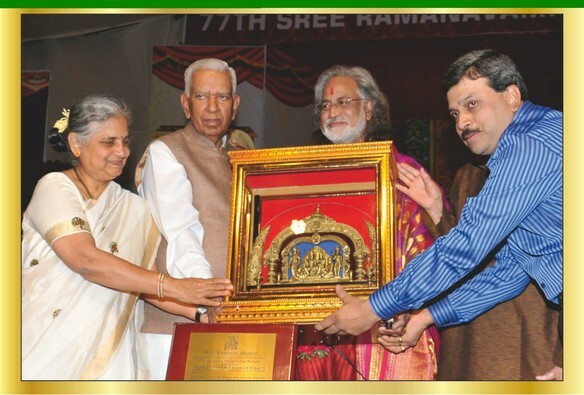 The Ramanavami National Music festival organised by the Mandali enjoys a rare status as a unique Spiritual platform to perform; it has acquired a national stature and has gained wide acceptance both by Artistes and Music lovers. The 31 days Music Extravaganza will be celebrated at the Specially Errected 40,000 sq.feet Pandal(which can accommodate over 10,000 audience), Old fort high school grounds, Bangalore. The National Music Festival: Over 300 Nationally and Internationally acclaimed artistes will participate in the Festival, every year. The schedule of the Music festival will be published in our official facebook page and our website on the New Year’s day every year. The Festival will attract more than 1.25 lakhs audience every year. Over the past 8 decades The Mandali has provided opportunity and groomed Hundreds of Young artistes, who are the leading artistes of today. The Month long fest with over 100 Volunteers, 300 artistes, 1.25 lakhs audience is the LARGEST INDIAN CLASSICAL MUSIC FESTIVAL.
! The Arrangements of the ensuing Ramanavami will start from the Month of September, every year.
! The Programme List will be published on our web and facebook page. Over 1 lakh copies of the Mandali’s Iconic 1 meter long Programme list will be printed and distributed every year.
! To ensure that the Rasikas enjoy the nectar of Gnana & Gana without any trouble, facilities like Artificial flooring, restrooms & Canteen are provided at the venue.
! Apart from the Canteen, the Mandali also runs an in house Kitchen which serves Lunch & Dinner to about 10,000 people.
! The Mandali has also taken many steps to enhance the ambience of the Pandal. The splendor and grace of the bedecked idols and the Darbar Set in the background at the celebrations brings in a revered sanctity to the massive pandal at Fort High School grounds venue.
! Over 7000 sq.feet of flex signage boards are installed at the venue.
! A mobile clinic and an ambulance are also provided in the venue.
! Fire extinguishers are also installed at the venue. In the year 2001, the Mandali started the tradition of conducting Founders Day as part of our Ramanavami celebration in the memory of our beloved founder Late Sri S V Narayanaswamy Rao. In the first 3 installments of the Founders Day the Mandali honoured associates of SVN Rao who helped him in his mission of Preserving Music. 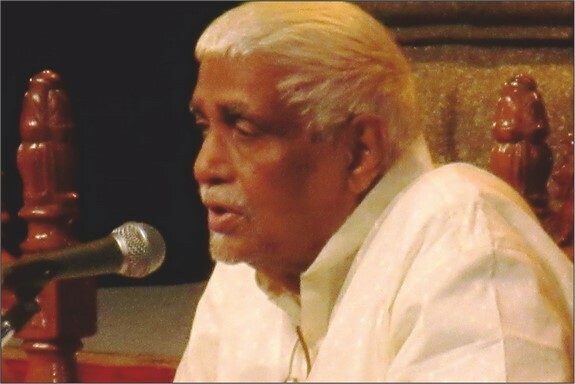 In the later years the felicitations were made for the people who have contributed immensely in the fields of Music, Dance, Science etc along the people who have served Sree Ramaseva Mandali. Till date over 50 people have been felicitated. The Rama Gana Kalacharya awards is conferred on musicians who have dedicated their lives in Preserving & Promoting Indian Classical Music. 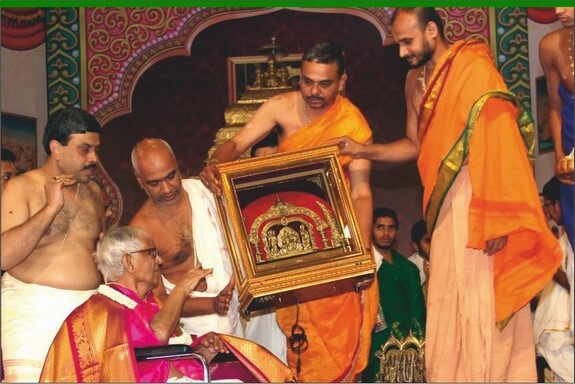 Padma Bhushana K S Narayanaswamy was the first recipient of the award. 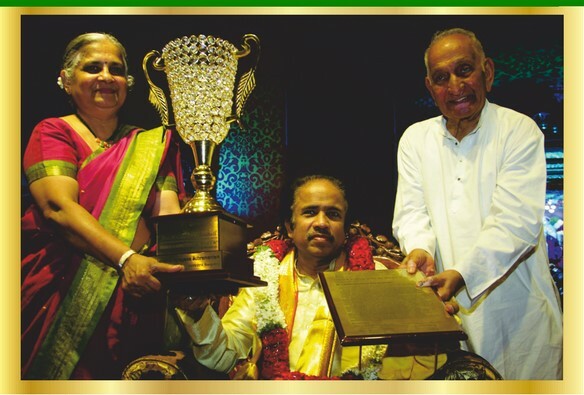 In the year 2014 the award was conferred on the God of Violin Dr.L.Subramaniam. 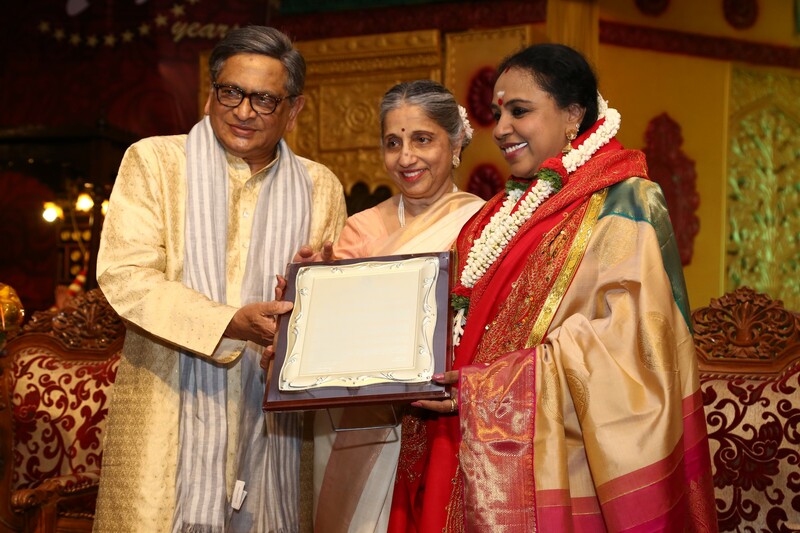 Pandit Vishwa Mohan Bhat & Padma Shri Aruna Sairam were conferred in the years 2015 and 2016 respectively. Smt Sudha Raghunathan was conferred with the award in the year 2017. 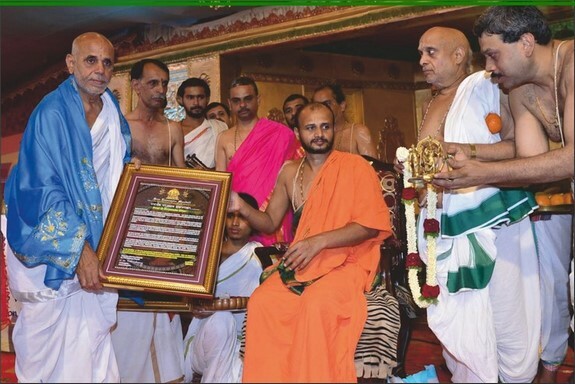 The Veda Vyasa Sanman is conferred on scholars who have dedicated their lives in Propagating & Preaching Veda, Upanishads, Ramayana, Mahabharata and other elements of Hinduism. The first recipient of the award was Padma Shri Bannanje Govindacharya. 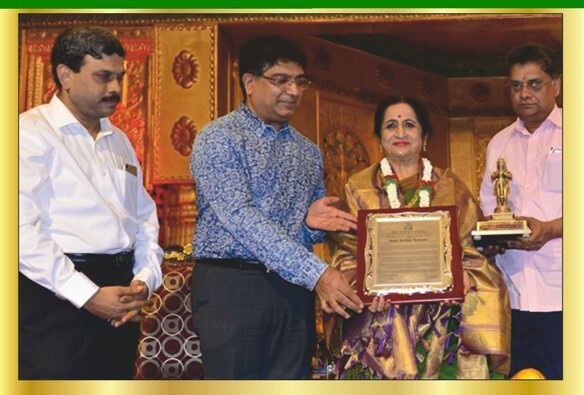 Pandit Jayatheerthacharya Malagi was awarded in the year 2014, Prof K T Pandurangi was awarded in the year 2015 and Prof D Prahaladachar was awarded in the year 2016 & Dr.Vyasanakere Prabhanjanachar was awarded with Veda Vyasa Sanman in the year 2017. Various religious activities will be organised during The 31 day Celebrations. Ramayana Discourse by Pontifs and Nationally acclaimed scholars is organised daily. 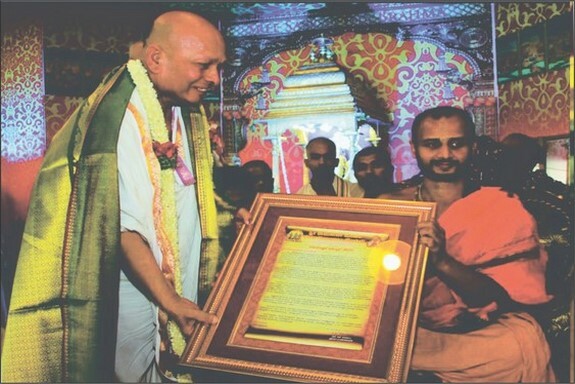 The Valmiki Ramayana Upanyasa by H.H.Sri Sri 1008 Sri Satyatma Theertha Swamiji of Uttaradhi Mutt will attract 6000 people. Many Havans are performed during the celebrations. The most important one being the Pavamana Homa which is performed on the auspicious day of SREE RAMA PATTABHISHEKA. The Pattabhisheka is one of the major functions during the festival and over 2500 people are served with Lunch on that day. Apart from these daily rituals and decoration are offered to the Kodanda Rama and other deities of the Mandali. The Prathibhakankshi was started in the year 2001. 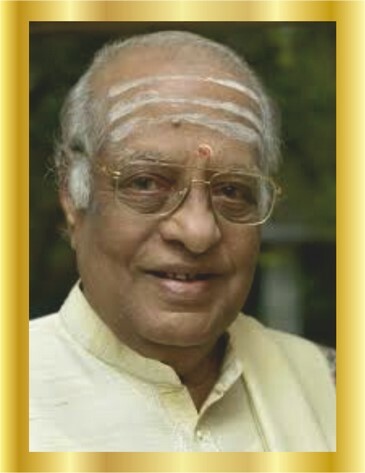 The Competition is conducted in the memory of Late Smt Rajam Vaidyanathan. The Competition was started to identify future MS Subbalakshmi, Maharajapuram Santhanam, Lalgudi. Around 318 budding artistes have performed in the Competition, as of 2017. The awards are given in 2 categories. Since the year 2016, the theme of the competition is Raga Tana Pallavi. Till day, the Mandali has received around 10,000 applications. The Mandali which has been encouraging young musicians, thought that it was necessary to start a National Youth Music Festival as a next level for Prathibhakankshi participants. As a result, a 3 days National Youth Music Festival is being organised during Sree Ramanavami Celebrations & National Music Festival every year since 2016. The participants of the festival are being awarded with S.V.Narayanaswamy Rao Award for Excellence.